A file photo of a Wells Fargo bank. 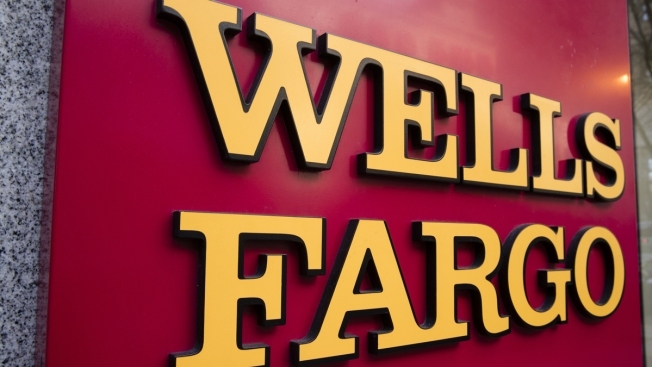 Amid a deluge of complaints that paychecks and other direct deposits weren't going through to customer accounts, Wells Fargo on Friday said it has corrected the issue and transactions should now be reflected in customer balances. The bank also said it was extending branch hours and adding staff in call centers. Tim Sloan, Wells' CEO, issued his first public comments on the matter Friday afternoon: "I apologize to our customers and team members for the inconvenience caused by yesterday's system issues," he said. "While we restored operations throughout the day and continue to address customer concerns, our recovery from these issues was not as rapid as we or our customers would have expected. "As a result of the process to restore systems yesterday, some transactions and balances were not visible in online banking or ATMs" as of Friday morning, Wells Fargo said in a statement earlier on Friday. "The transactions were processed normally, and customers can use their accounts with confidence. This issue has now been corrected, and all transactions are now visible. We are experiencing higher than normal volumes so there still may be delays in online banking and contact center response times." Here’s why you should think twice before using your debit card from CNBC. Some Wells Fargo employees were affected. "Some team members were not able to see the payroll deposits in their online banking accounts for a short period of time. Wells Fargo payroll was processed normally. This issue has now been corrected," the bank said in a separate statement. The outage is putting stress on employees of companies that use Wells Fargo for payroll processing. Vanessa Alonso, who works in the accounting department of a small printing company called Nuvo Group in New York City, said she had tried to put payroll through for the company's two dozen or so employees but was unable. She tried several times to reach Wells Fargo about the problem only to hear an automated message that the bank was experiencing high call volumes. Eventually, she connected with a Wells representative who processed the payroll over the phone and told her the direct deposits would be available to her company's employees on Monday. "Fingers crossed!" she said. On social media, Wells was responding to complaints, telling some people their cards might not work until all systems are back up and running. In a tweet on Friday, the bank said "We know this has created difficulty for our customers, and we are sorry to have let you down." The complaints piled up on social media, however. Wells Fargo, the fourth-largest U.S. bank with a sprawling coast-to-coast branch operation, made several posts on Twitter, most recently saying, "We want our customers to know that this is a contained issue affecting one of our facilities, and not due to any cybersecurity event." It's not clear if that incident was connected to one at a data center Wells Fargo keeps in Minnesota, where a fire suppression system was accidentally tripped early Thursday morning, prompting a visit from the local fire department. That incident happened at 5 a.m., and the bank called the fire department at 9 a.m. The fire department told CNBC on Thursday that there was no fire.